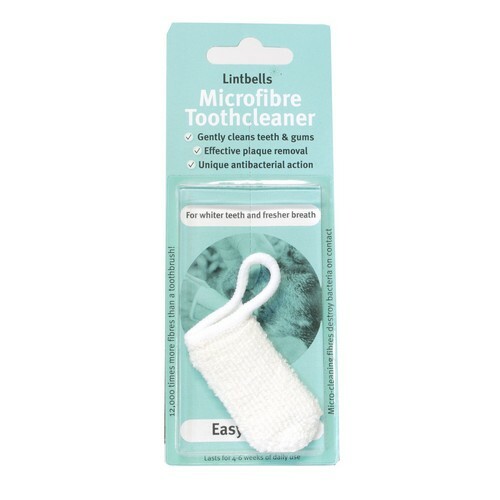 The Lintbells Microfibre Tooth Cleaner gently removes bacteria and plaque from your dogs teeth and gums, preventing build up of tartar and freshening breath. 12,000 times more fibres than a toothbrush. Micro-cleaning fibres destroy bacteria on contact.